The 2018 World Series of Poker has crowned yet another bracelet winner at the Rio All-Suite Hotel & Casino and it was Ognyan Dimov that took home the lion's share of the $2,245,050 prize pool and coveted gold bracelet in Event #17: $1,500 No-Limit Hold'em 6-Handed. Four former bracelet winners returned to the final table on the ESPN feature stage, but it was 2015 EPT Deauville Main Event champion Dimov that faced Antonio Barbato in an all-European heads-up. 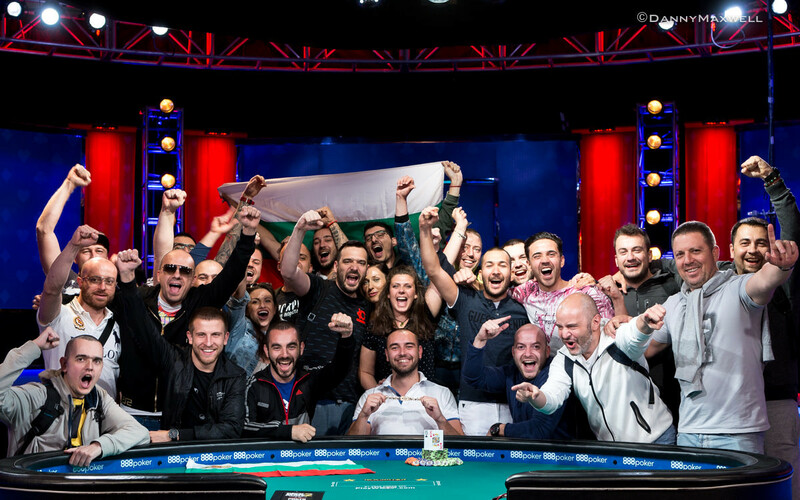 Both were supported by a boisterous rail and the Bulgarians ended up celebrating the third WSOP bracelet for their country, as Dimov followed in the footsteps of Nick Jivkov and Simeon Naydenov to claim his maiden bracelet and $378,743 for his efforts. “I read up on all of the players. Of course, you don't expect to face bad players on the final table, that's what you expect, bracelet winners and big names in poker. I am not afraid of that," the Bulgarian said when asked about the stacked final table line-up. Four-handed, Dimov pulled into a commanding lead after hero-calling against Ryan D'Angelo before sending all his remaining opponents to the rail. When asked about the clash with Nick Schulman shortly after, Dimov added the following. Dimov also confirmed that he will be playing the rest of the WSOP this summer and had a few remarks in jest for his Bulgarian rail, which ended up in a winner shot with two dozen countrymen. “Well, that I am a really nice and good guy, everybody loves me. ... No, I am kidding, it is because they are really bad at poker and busted the Millionaire Maker (laughs). We are on the other side of the world and we are going to be a tight group and cheering for each other. Whoever was on the final table, the same people would appear and I really appreciate their help." Before the event, his heads-up opponent Barbato had just shy of $38,000 in cashes on the live poker circuit and took home $233,992 for his efforts. 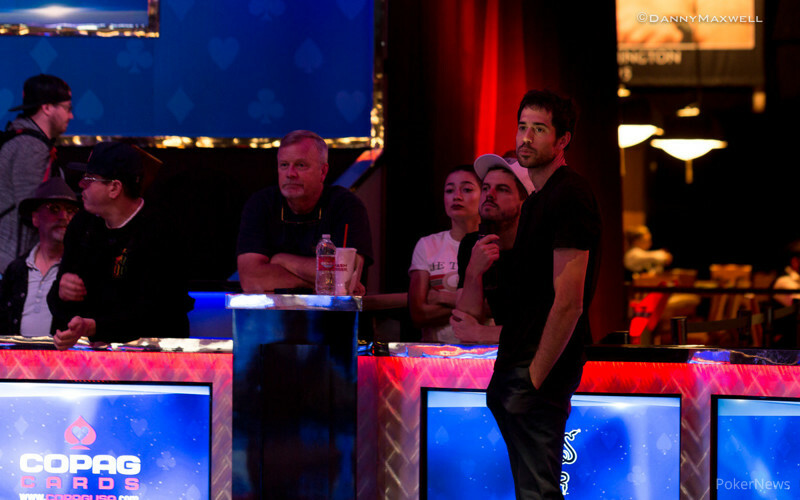 Nick Schulman ended up third with fellow bracelet winners Ryan D'Angelo, Joey Weissman and Yue Du below him in the payouts. The tournament created a field of 1,663 entries and 264 hopefuls bagged up after Day 1 with Bart Lybaert in the lead and the money bubble looming, as just the top 250 spots were paid. It took only 20 minutes on Day 2 to ensure a min-cash of $2,249, and from there on out, the eliminations kept coming at an electric pace and just 27 players bagged up. Among those to bust in the money on Day 2 were such big names as Chance Kornuth (184th, $2,342), Barry Greenstein (155th, $2,453), defending champion Anthony Marquez (120th, $2,835), Jeff Madsen (78th, $3,984), 2014 WSOP Main Event champion Martin Jacobson (64th, $4,608), and Adrian Mateos (61st, $4,608). 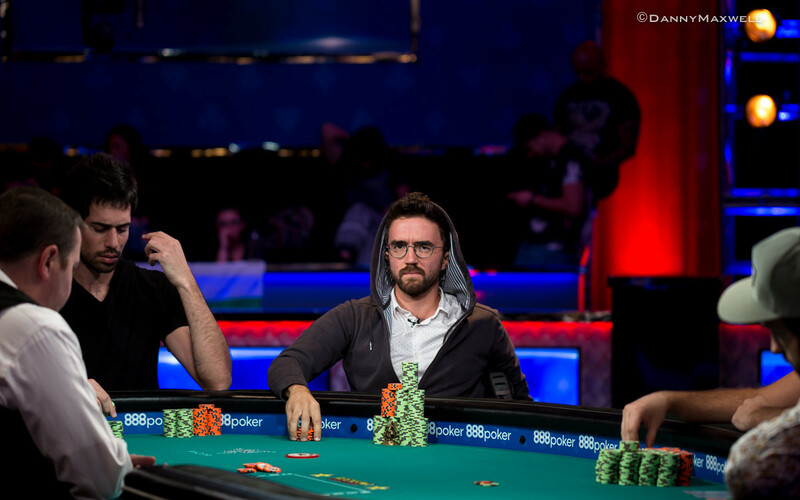 The WSOP bracelet winners Adrian Buckley and Tristan Wade were among the first to depart on Day 3 and they were soon joined on the rail by Pierre Calamusa (13th, $19,469) and Hon Cheong Lee (12th, $25,342). After four casualties in half an hour including Day 1 chip leader Bart Lybaert (8th, $44,750), Day 3 came to an early end after just over six levels of play and the remaining six hopefuls including four WSOP bracelet winners and an EPT champion returned for an extra day to determine the champion. In the very first hand of the day, Yue Du defended his big blind against a button raise by Nick Schulman and check-shoved a jack-high turn with ace-deuce suited for the nut flush draw. Schulman called with king-jack for top pair and the river paired the board to eliminate Du in sixth place. Start-of-day chip leader Joey Weissman had a rough first few levels and dropped to the bottom of the counts before he doubled through Schulman to get back into contention. Antonio Barbato doubled through Ognyan Dimov and Weissman sent over a big portion of his stack to Ryan D'Angelo before he hero-called a jam by Dimov on the river of a king-high board. Weissman was shown ten-four suited for a flush and his pocket queens ended up second-best to reduce the field to the final four with Dimov and D'Angelo at the top of the counts. A failed bluff by D'Angelo vaulted Dimov into a commanding lead and he never looked back, sending all three remaining opponents to the rail in quick succession. In back-to-back hands, he claimed the stacks of D'Angelo and Schulman to enter heads-up with a 9-1 lead. D'Angelo lost a flip with pocket nines against king-jack, while Schulman's ace-ten was ahead of ace-eight until the river brought an eight to let the Bulgarian rail erupt in celebration. The heads-up duel with Barbato lasted all but 16 hands and the Italian ended up moving all in for his last seven big blinds with ace-nine and Dimov called with king-six. A six on the flop and a king on the river sealed Barbato's fate and he couldn't pull off the miracle comeback. That brings an end to the PokerNews live reporting for this event, but several other WSOP tournaments are already underway right now to determine another champion in Las Vegas. Down to his last 570,000, Antonio Barbato moved all in and Ognyan Dimov called to set up the showdown for the bracelet. The flop paired up DImov and both the Bulgarian and Italian rail started chanting for the next card to come in each favor. After the turn, Barbato picked up a gutshot, but the on the river was a blank for the Italian. 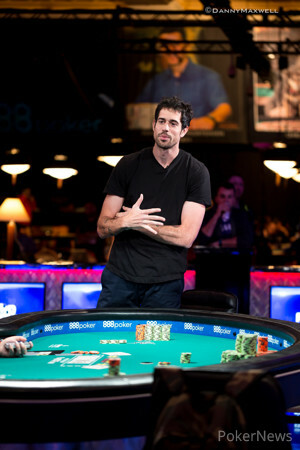 Barbato was eliminated in 2nd place and takes home $233,992 for his efforts. 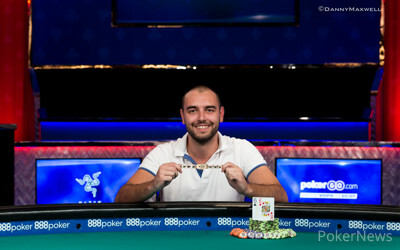 Dimov becomes the third WSOP bracelet winner for Bulgaria and a recap of today's action is to follow. Hand #86: Ognyan Dimov called and Antonio Barbato checked. The flop came on which they both checked. The turn brought the and Barbato check-folded to the 75,000 bet of Dimov. Hand #87: Dimov got a walk. Hand #88: Dimov called and Barbato checked. The flop came on which they both checked to the on the turn. Barbato bet 80,000 and Dimov called. The river completed the board with the , Barbato checked. Dimov did the same. Barbato took the pot with for two pair, sevens and sixes. Hand #89: Dimov got a walk. Hand #90: Dimov put Barbato all-in and Barbato folded. Hand #92: Dimov shoved and Barbato folded. Hand #83: Antonio Barbato limped in and Ognyan Dimov checked his option to see a flop of , Dimov checked and Barbato's bet of 60,000 was called. On the turn, Dimov quickly checked and Barbato made it 155,000 to go, which Dimov called. After the river both players checked. Dimov showed the for a pair of eights and that won the pot, sending Barbato below a million. Hand #84: A walk for Barbato. Hand #85: Barbato limped in and Dimov raised it up to 200,000, forcing a fold from his opponent. Hand #78: Ognyan Dimov called on the button and Antonio Barbato checked. The flop came , Barbato check-folded to the 75,000 bet of Dimov. Hand #79: Barbato completed and Dimov checked. The flop came , Dimov checked, Barbato bet 60,000 and Dimov folded. Hand #80: Dimov called and Barbato checked. They both checked through the on the flop and the on the turn. The river completed the board with the , Barbato check-folded to the 75,000 bet of Dimov. Hand #81: Barbato called and Dimov raised to 240,000. Barbato folded. Hand #82: Dimov limped in and Barbato checked. The flop came on which they both checked. The turn brought them the , Barbato check-folded to the 75,000 bet of Dimov. Hand #77: Nick Schulman limped in from the small blind and Ognyan Dimov moved all in, Schulman called for 1,850,000. The flop failed to improve Dimov, but he picked up some chop outs on the turn. 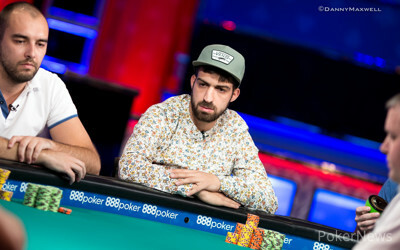 Instead of a chop, Dimov got there with the on the river and Schulman was eliminated in 3rd place for $163,785. There will now be a short break to set up the duel for the WSOP bracelet. 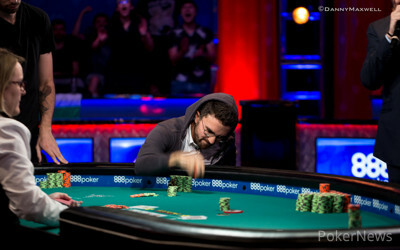 Hand #76: Ryan D'Angelo raised to 135,000 from the under-the-gun position. Dimov shoved which would put both Antonio Barbato, Nick Schulman or D'Angelo all-in. Barbato and Schulman quickly folded. D'Angelo called for the 1,890,000 he had in front of him. The board ran out to give Dimov two pair in the end to eliminate D'Angelo in fourth place for $116,118. Hand #72: Ognyan Dimov made it 135,000 to go on the button and Antonio Barbato three-bet to 405,000 in the small blind. Dimov four-bet all in and Barbato snap-folded. Hand #73: Dimov opened to 135,000 first to act and won the blinds and antes. Hand #74: A walk for Dimov. Hand #75: Ryan D'Angelo raised to 135,000 on the button and Dimov called in the small blind. The flop came and both players checked to see the on the turn. Dimov bet 175,000 and D'Angelo called, the duo headed to the river. Dimov checked and D'Angelo bet 1.2 million, prompting the Bulgarian to carefully study the board and his stack. Dimov called and D'Angelo showed the for a busted flush draw, Dimov claimed the pot with for a pair of kings to cement his spot at the top of the counts.